The St. Francis varsity boys’ lacrosse team recently concluded its most historic regular season with a 7-7 record. The Golden Knights, guided by third-year head coach Jared Little, will compete in the Mission League tournament this Saturday. 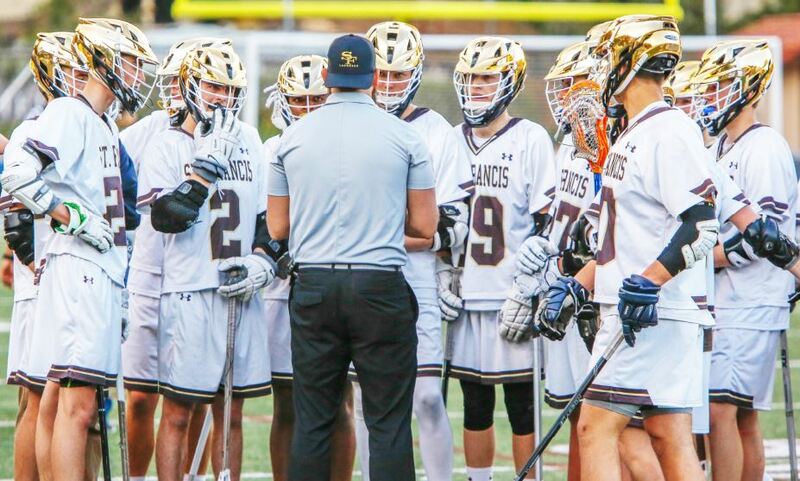 The St. Francis High School varsity boys’ lacrosse team suffered two consecutive Mission League losses since last Saturday, including a 15-4 defeat to first-place Los Angeles Loyola. However, head coach Jared Little is entering the league tournament with plenty of optimism. 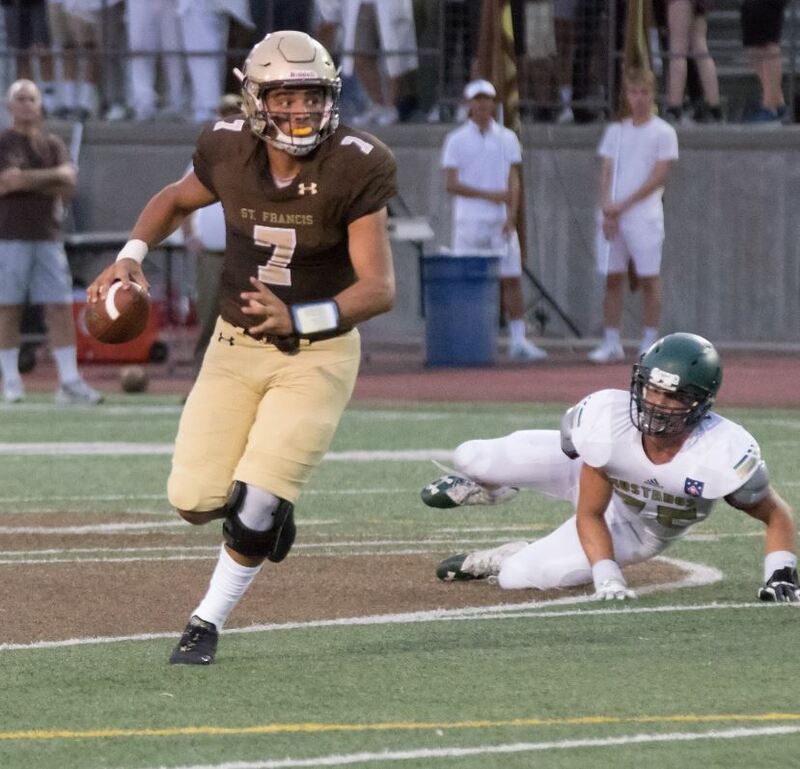 Photo courtesy Eric Danielson St. Francis junior quarterback Darius Perrantes threw for 322 yards, six touchdowns and an interception in his debut last week, leading St. Francis to a 48-21 win over Mira Costa of Manhattan Beach. During the second half, the St. Francis High School student section loudly sang “Sweet Caroline,” A fitting song because Golden Knights football never seemed so good as the varsity team cruised to a 48-21 victory over visiting Mira Costa of Manhattan Beach last week. 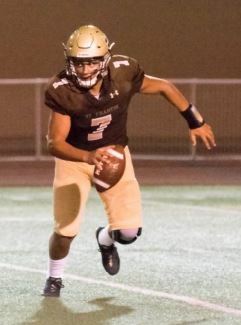 In the first half, new quarterback Darius Perrantes, a junior transfer from Encino Crespi, initially started off slow but everything started to click after his first touchdown. Near the end of the first quarter, senior Greg Dulcich broke away from the Mira Costa corner, and Perrantes completed a 38-yard touchdown pass, and there was no looking back for the St. Francis offense. 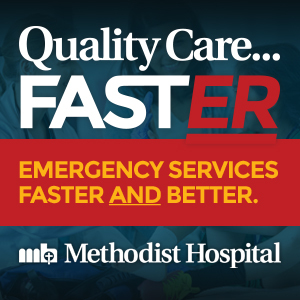 The Mustangs (0-1 overall) quickly responded with a touchdown pass of their own, and it seemed as if both teams were evenly matched. On the ensuing drive, Perrantes completed another touchdown pass to Dulcich and later connected with Isaac Cordova for a 64-yard touchdown.